Are the kids excited for Halloween? Have them make a countdown tree to mark the days until they go trick-or-treating. We keep track starting October 1st but you can make a smaller version for the last week of October. Paint the tree branch black using poster paints. Once it is dry, secure the bottom in a piece of clay. Place the tree in a shallow basket and add a layer of rocks to cover the clay. 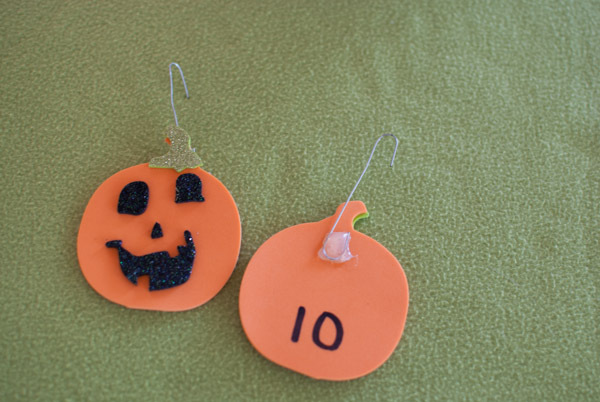 Use a glue gun to attach an ornament hook to the back of each pumpkin. You can also open paper clips and use those. Write the numbers one through 31 on the back of the pumpkins using a Sharpie. Decorate a small basket to hold the pumpkins. The pumpkin shapes came as a kit from Target a few years ago, but I have seen similar ones there or at Ben Franklin. 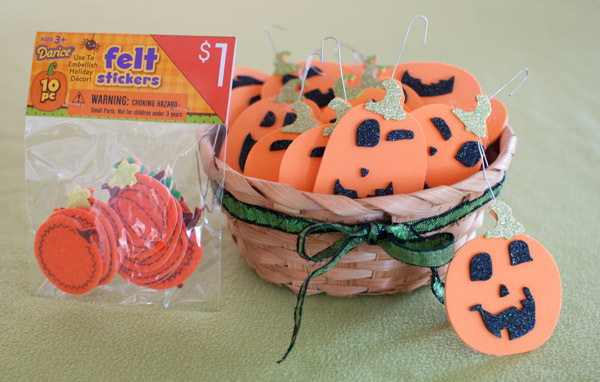 Target currently has packs of ten felt pumpkin stickers for one dollar. We keep the pumpkins in numerical order, in a small basket near the tree. Each morning the kids get to hang the appropriate number on the tree. On Oct. 1, they hang pumpkin #1. On Oct. 2, they hang #2, and so on and so forth. After years of countdown and advent-related sibling issues, we decide ahead of time, which kid will be odd and which will be even. 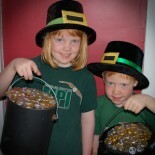 My kids learned odd and even numbers very quickly when they were little. The kids painted the “tree” with poster paints. One year we used an old basil plant that had a root system. Our “tree” sat in a shallow basket. The rocks covered the roots and held it down in place. 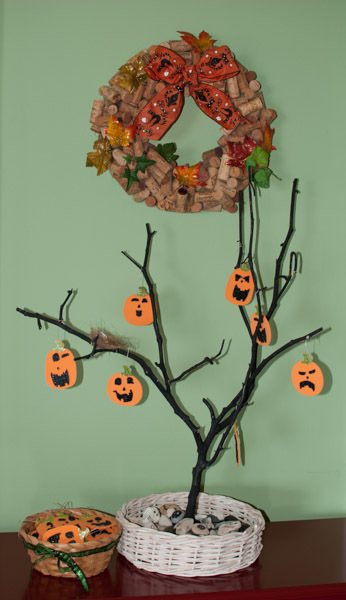 If you use a tree branch, you will have to use clay or Playdoh as a base, then cover it with rocks or other decorations. One year, we paper mached some chopsticks to the base of a branch, so the tree could stand on its own. Our trees often get repainted in pastels just before Easter. We use them to hang little decorations. 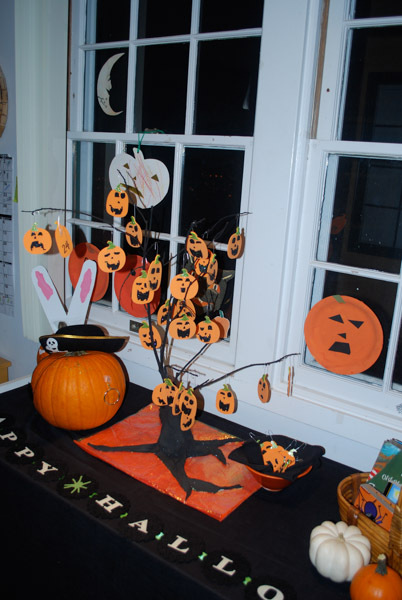 This entry was posted on October 5, 2015 by mdaucello in Crafts, Halloween and tagged advent, count down, countdown, Halloween, pumpkin, tree.